The roads are cleared, the personnel prepared and vehicles tucked away in preparation for one of the biggest mass movements of people Ireland has seen in a decade. 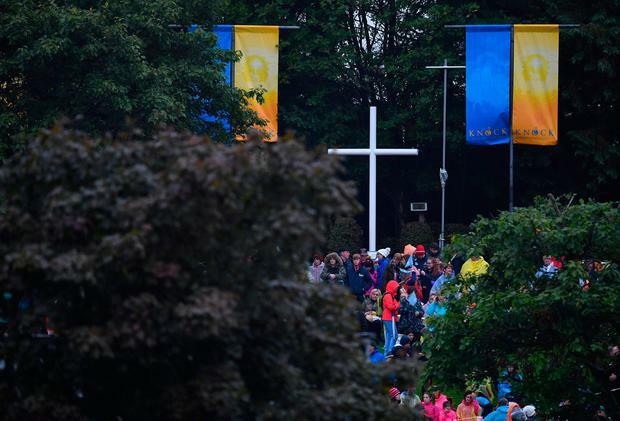 Later in the day, the Pope will arrive at the Phoenix Park for the closing mass of the World meeting of Families. The event is expected to be attended by half a million people. 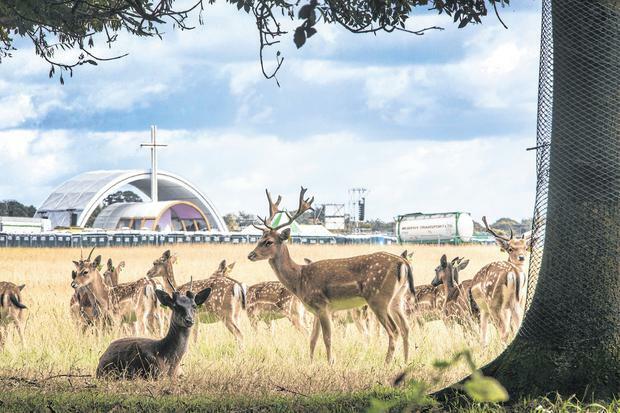 Those attending the Phoenix Park mass in Dublin must enter through the gate which is marked on their ticket. While a range of public transport options will terminate around the park, only in exceptional circumstances will pilgrims be allowed to enter through another gate. The advice for pilgrims is to allow sufficient time to reach events. Director of public transport services at the National Transport Authority Tim Gaston urged people to give themselves enough time to get to the Phoenix Park, saying there needed to be a "steady flow" of people throughout the day. Public transport is free for those with a ticket for the papal Mass, and the capital remains open for business. The M50, M1 and Dublin Tunnel will be fully open on Sunday. However, the inbound lanes at J6 Blanchardstown, J7 Lucan and J9 Red Cow will be closed to all vehicles apart from buses on Sunday. There will be a secure area around Dublin, starting at the M50 from 6am to 11pm on Sunday 26 August. Dublin Bus will be operating a Sunday service with additional early morning departures on certain routes, and diversions will be in place for all scheduled services throughout the day. In addition to this, Dublin Bus will have 7 dedicated transport hubs, throughout the city, to get people as close as possible to the Phoenix Park. Regular services from the transport hubs will commence from 08.00am and finish at night. It has been specified that there is no parking available at these hubs, and people are requested to walk to the hubs or intermediate bus stops along their route. Large crowds are expected, allow plenty of time for your journey, purchase your ticket in advance and get a return ticket if necessary. Cyclists have been warned not to park their bikes along the route of the popemobile and are advised to remove bikes already parked. They have also been told they may be asked to dismount where there are large numbers of pedestrians. A ‘Stand for Truth’ solidarity event for clergy abuse victims will take place in Dublin's Garden of Remembrance at 3pm on Sunday 26 August. Abuse survivor and Executive Director of Amnesty Ireland, Colm O’Gorman, previously told Independent.ie that the event was so people could “stand and recognise the dignity harmed and lives destroyed”. A number of abuse survivors from other parts of the world as part of the Ending Clergy Abuse Global Justice Project (ECA) are also expected to fly in to stand in solidarity. HSE's Health Protection Surveillance Centre (HPSC) has warned of “unique health risks” that may occur at large gatherings like the WMOF. "Given the nature of this historic papal visit, a large number of young children and elderly visitors are expected to attend the final Mass, including many international visitors,” said Dr Mary O'Riordan, Specialist in Public Health Medicine at the HPSC. What happened the last time the Pope came to Ireland? Almost 3 million people turned out to greet Pope John Paul II when he visited Ireland in October 1979. 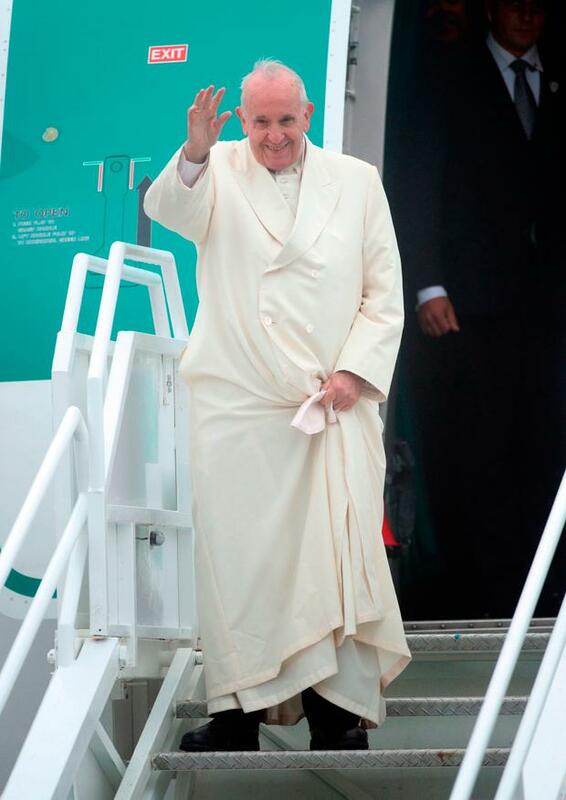 The Pope visited the Phoenix Park, Drogheda, Galway, Knock and Limerick. Pope John Paul II famously kissed the ground as he embarked the plane, something that many people have speculated will happen when Pope Francis arrives this month. He made a plea for peace when he visited Drogheda, chosen as a symbolic location within the diocese of Armagh. "On my knees I beg you to turn away from the path of violence and return to the ways of peace," he said. He also declared his love for "the young people of Ireland" in a renowned speech at a Youth Mass for 300,000 at Ballybrit racecourse.